Data has transformed business. With data, businesses can market efficiently, engage on a deeper level with their computers, and deliver products and services faster than ever. Data has also given more power to consumers, allowing unprecedented access to a business with a click. All of this access, however, comes at a risk. Credit card numbers can be stolen, passwords hacked and complete websites taken over by hackers or trolls. 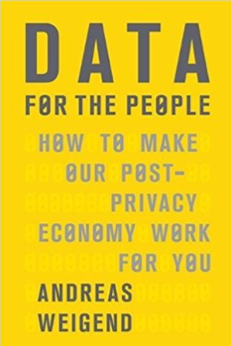 Data for the People: How to Make Our Post-Privacy Economy Work for You explores the implications of living in an always-connected and constantly changing,data-filled world. What is Data for the People About? In order to have information, you have to exchange something. If you want a product delivered to my home, you have to give your address to the store that will deliver it. If yoou want to get hired by a business, you have to provide confidential information (your address, Social Security Number, employment history, etc.) to the HR department or manager. The majority of people today don’t think twice about doing this. Data for the People argues that you might need to rethink this approach when it comes to things like social media, artificial intelligence, Big Data and the Internet of Things. Unlike previous generations, relationships in the new age of data are much more complicated. You reveal more about yourself, consciously or unconsciously, in this age than ever before. You aren’t just revealing your address, you’re revealing your interests, passions, habits, and more without even realizing it every time you go to the ATM, click “Like” on Facebook, or order something online. 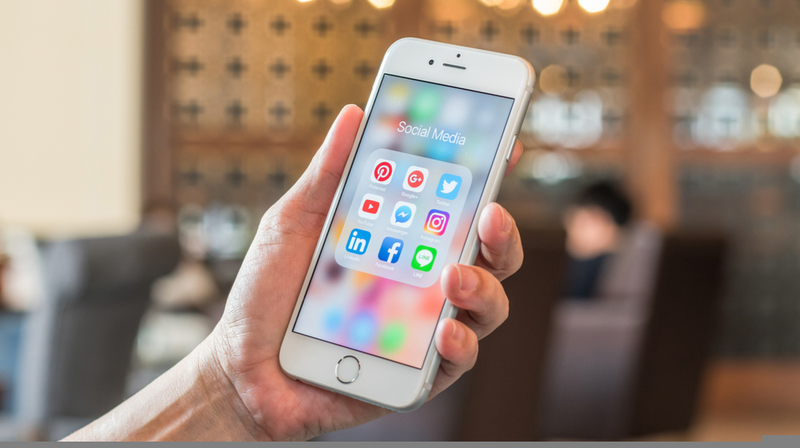 The outdated idea that if you don’t share, you keep your information private no longer works in a world with Google searches, camera phones, analytics tools and social media. Instead, as author Andreas Weigend advocates, businesses should develop a new model of transparency that lets consumers know what they are gaining in exchange for their information so they can make an informed decision if they want to participate. Weigend argues that, if customers don’t fight for this, they may end up in a world where their data can be used against them rather than for them. Weigend is a former Chief Scientist for Amazon and currently serves as a professor, consultant, keynote speaker and director of the Social Data Lab. Weigend teaches the popular “Social Data Revolution” course at Stanford University along with other courses at UC Berkely, and around the world. What Was Best About Data for the People? Data for the People emphasizes the responsibility businesses and customers share in this new world of data sharing. This is something many businesses fail to discuss at a deep level, despite the constant pressure for more transparency. The book actually breaks down what transparency could look like and how everyone, from the owner of Facebook down to the Facebook user and everyone in between, can be more proactive about protecting their rights to data. Data for the People lays out a new set of data rights for everyone. It also specifically demonstrates how businesses have navigated the confusing world of data rights (like requiring ID for verification and accountability). Data for the People focuses most of its recommendations, from the consumer point of view. More discussion on the impact of data privacy and rights from the point of view of business (like a small business who wants to target customer user’s cell phones for a marketing campaign) would be even more helpful. Why Read Data for the People? Data for the People is written for everyone but offers different advice for the two basic groups of people out there, people who provide content (consumers) and people who use the data they provide. For consumers, the book is a call to urge businesses like Facebook or Google to adopt a higher level of transparency and access. For people who use the data (like businesses or government), this book is a rallying call demanding accountability and responsibility. Getting any piece of data from a consumer is risky (and potentially costly), so businesses need to take every precaution they can to keep the data they collect safe from danger while also providing access to the right people. This is a juggling act that businesses will continue to face. The iPhone made its official debut t 10 years ago. The device that changed the landscape of the smartphone industry offers some unique business lessons and of course — tools for business. And businesses using these tools got some good news recently too. Bills for data streaming on the phones are going down. The reason? Smartphone saturation. What an appropriate bit of news as the device that started it all celebrates its first decade. Read about these updates and more in this week’s Small Business Trends news and information roundup. This week 10 years ago, the original iPhone was released to the public. Now we know that the iPhone is a hugely successful and transforming product. But back then, Apple took a huge risk in creating something so different from what customers were used to. And the process for creating the product was far from easy. U.S. cellular service costs are plunging. The consumer-price index for wireless phone service dropped 12.5 percent between May 2016 and May 2017, according to the Labor Department. That’s a pretty significant drop that could have an impact on consumers and businesses alike. Every business owner wants to succeed. But achieving success doesn’t come easy to most entrepreneurs. Fifty percent of small businesses, in fact, fail in their fifth year. This shocking revelation comes from new data presented by online insurance service provider, InsuranceQuotes. Small business owners feel confident about their prospects, according to the latest Small Biz Index. The recent survey of 1,000 small business owners was conducted by MetLife (@Metlife) and the U.S. Chamber of Commerce between April 30 and April 21, 2017. According to the data gathered, 60.6 percent of small business owners said they have a positive outlook for their company. Employees leaving your organization might be putting your business at risk. That’s if they are like the 35 percent of employees who say it’s common to take company information with them when leaving a company. This startling revelation comes from a new study (PDF) by tech giant Dell (NASDAQ:DVMT). The research has provided several other interesting insights too. Hiring professional freelancers for your next project just got easier. Israel-based freelance marketplace Fiverr has announced Fiverr Pro, “the newest high-end initiative of Fiverr’s global marketplace for talent,” the company says. Small businesses have a tough time managing money and payments, a study has found. According to research conducted by WePay, an online payment service provider, 41 percent of businesses report having experienced cash flow challenges. Sixteen percent say they have experienced payment fraud — just in the last year. On July 1 there will be significant changes to consumer credit scores as America’s three largest credit-reporting agencies (Equifax, Experian and TransUnion) will be dropping nearly all civil debts and some tax liens from their reports. May turned out to be a tough month for small businesses seeking funds. Loan approval rates at big banks, small banks, alternative lenders and credit unions declined, the latest Biz2Credit Small Business Lending Index has revealed. As summer kicks in, more small business owners and entrepreneurs are likely planning to pack up and go on a much deserved vacation. While conventional advice is to switch off the smartphone and step away from the office for that deserved break, a new study has found smartphones can actually help you relax while on vacation. Recent marketing insights from Bing reports students are planning their back to school purchases while still enjoying their summer break. So, when does back to school shopping begin? A look at search volume for back-to-school basics shows that it starts earlier than many small business marketers might have guessed. 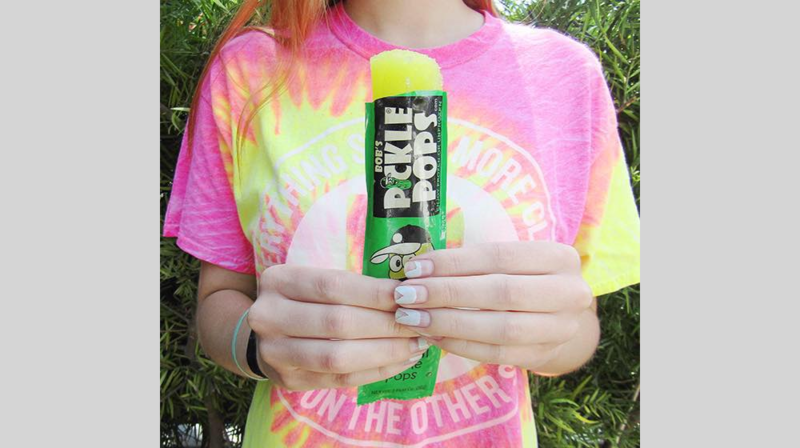 There’s no denying it: Summer is here. To kick off the season, folks are uncovering their grills for the first time in eight or nine months and firing up some ‘shrimp on the barbie.’ A little corn on the cob, freshly-sliced watermelon and homemade cherry cobbler round out the all-American picnics taking place in backyards across the country. Snapchat Introduces New Feature: Will it Help You with Marketing? Snapchat (NYSE:SNAP) announced a new feature this week that could impact how your business markets to local consumers. Snap Map, as it’s called, is a location based service that shows Snapchat users where their friends are hanging out nearby. Independent florists may be interested in a new offering from online floral marketplace BloomNation. The new service, called BloomPro, basically offers independent florists the option of having a dedicated floral commerce account manager at their disposal without having to hire one. The Summer Fancy Food Show takes place in New York this week, showcasing hundreds of specialty food makers with some really unique products. The Summer Fancy Food Show The Specialty Food Organization puts on the show each summer, along with one in California each winter. An unscientific poll of a few dozen shoppers revealed that many consult their phones before they buy something. The poll — commissioned by Edgenet — was taken of 60 big-box store shoppers in Nashville between May 22 and June 5. Clean eating isn’t just about improving health. It can be an entire lifestyle shift. And for one couple, it even led to a great business opportunity. The founders of Clean Juice decided to start their business after seeing just how much of an impact clean eating made for them personally. Read about their journey and more in this week’s Small Business Spotlight. The Secretary of Homeland Security John Kelly this week announced enhanced security screening measures for all commercial flights to the United States. If you have a small business website, you know how dangerous malware and viruses can be. Open the wrong email and you can infect your entire network. It’s important to be protected against online attacks on your reputation too. Compounding the need for new security products is the evolution of malware. There’s a new tool for establishing your digital presence on the web, but it isn’t available to your small business just yet. Google Posts lets your business create content on Google (NASDAQ:GOOGL), which can then be optimized to rank high in search results. 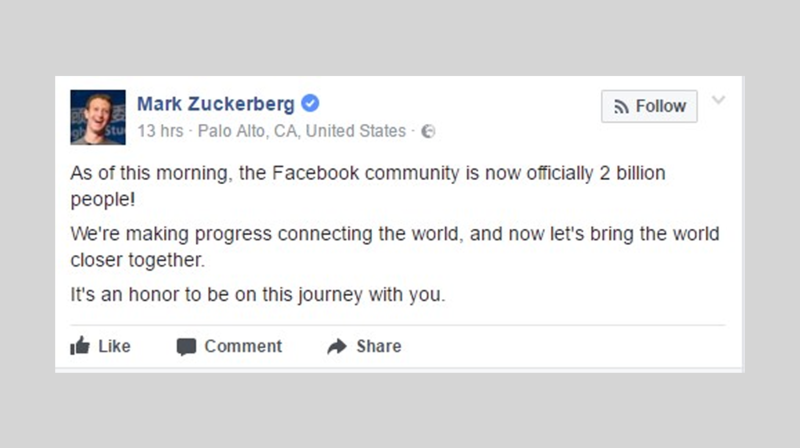 When it was first launched in 2016, it was during the Presidential campaign, and it was intended for the candidates. Could Robots Make Small Business Manufacturing a Reality? Through this series I have the opportunity to speak with a variety of interesting people on a great many topics. 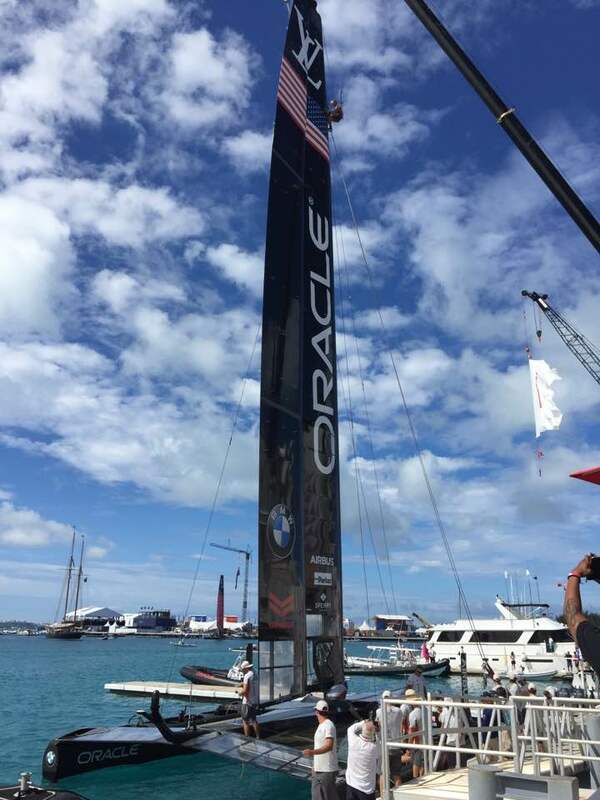 But this week’s conversation was the first time I had the chance to do so sitting on the edge of the Atlantic Ocean in Bermuda … watching Oracle Team USA compete for the America’s Cup against Emirates Team New Zealand. And while the end result wasn’t what we hoped for, with Team USA losing 7-1, It was still a great experience and an opportunity to learn how modern tech is changing the race. 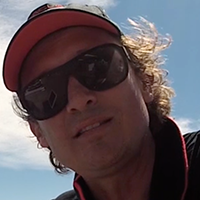 Benedict, a member of Oracle Team USA, took a few minutes away from the race to share how the team is using an unbelievable amount of data they are able to collect during the race, along with video and pictures captured, to help change strategies in realtime to move the team forward. And while this is fascinating to see how modern tech is changing the race for The Cup, there are definite business lessons to take away. Plus, I get to bust out my cabana wear for the first time in a while. So I owe a big debt of gratitude to the folks at Oracle for inviting me down to see the races and learn more about technology’s role in the event. Below is an edited transcript of our conversation. To see the whole conversation check out the embedded video above and the audio player below. Brent Leary: There was a tech talk around how Oracle Team USA is using technology to do what they do. One of the things that stuck me, was the statement that back when the race got started in 1851, it was about technology. People would probably think 1851, what kind of technology was that back there? But now today it’s definitely about technology. Maybe you could talk about kind of the evolution of how technology has played a role in this. Benedict: Sure, so basically if you look at this Cup, and the previous Cup, the biggest news were the foiling systems. In the past, the boats were sitting in the waters, so you always had a lot of drag, and the drag stopped you accelerating. So in these two Cups we now have foiling catamarans. They lift out of the water, similar to an airplane, and they can go three times the wind speed, which is a different story basically. The hulls do not touch the water anymore. Therefore, they just go faster and faster. Brent Leary: This morning we talked about, being there at the end of the day, taking this video, taking all the data that’s coming from sensors, and turning that into strategy. 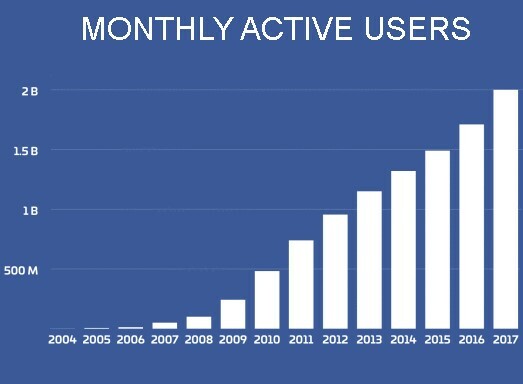 Talk a little bit about how you’re able to take all this data you have access to now, and how that plays a role in strategy. Benedict: We have around 300 to 350 sensors on board, and they take measurements every 5 seconds. This data is being streamed right away to a boat, which follows the race boat all the time. Then they store it back on Oracle databases. We have a huge container over there, with services set up, and it’s air conditioned, since it’s pretty hot here, but it plays a huge role for the engineers because now they always can flip back, and combine the moving pictures, like the video pics, with the data. So you can see how the boat is performing. There’s a drone always following the boat. So we always have drone pictures, and that’s a good thing that we have everything synced together. So all the engineers, they just can grab all this data, to see how the boat performs under which conditions. They see what changes it made, due to the changes they made on the boat. That’s the biggest challenge basically, because sometimes you don’t know if the change you’re doing is as good as the theory tells you. So they go back and forth, and back and forth. Over the last week, they went out three times. Today they took the boat off the water, took all the data. They analyzed it. They made some changes, put the boat back in the water. So they had hectic times. Brent Leary: Is that gonna be what happens tonight as well? Benedict: I think they went out tonight, or this afternoon again to do some little testing again, but the boat performance wasn’t the issue today. We had two not so good stories I should say. Brent Leary: Okay, well let’s talk a little bit maybe about the future. What do you think is going to happen with the use of technology and data two years from now, four years from now? Benedict: So I’m not sure how familiar your audience is about the America’s Cup, the tricky thing is, the winner takes all the rights to decide what’s gonna happen. So right now, it’s a very technology driven game, because the boats are leading edge, they’re foiling, a lot of technology involved, so maybe in the next Cup, we might not foil, because the winner decides on what boats we’re gonna race. So that is gonna be a tricky thing. For sure there’s also technology involved, in order to make the boat as fast as possible to the given rules they decide, but right now we don’t know. Is it a foiling boat? Is it a catamaran? Is it a monohull? Is it a trimaran? We have no idea. So if Oracle will win, there’s already a kind of set scenario which four teams agreed on, how to proceed, so there’s already a schedule, and they decided on boat designs. But if Emirates Team New Zealand keeps them going, you don’t know what happens. We don’t know. They might go back and say we’re going to race on monohulls as we did in 2007 with the America’s Cup class boats. So you don’t know. Inflation across the 19-country eurozone held up better than anticipated in the face of waning energy prices, a sign that the region’s economic recovery is reverberating across the single currency bloc, official figures showed Friday, according to the USA Today. In its first estimate of inflation for June, Eurostat, the European Union’s statistics agency, found that consumer prices rose by an annual 1.3%, down slightly from 1.4% the month before. Though the rate has not been lower since December, the decline was more modest than financial markets had anticipated. That was likely due to the fact that the core inflation rate, which strips out the volatile items of food, alcohol, energy and tobacco such as energy, rose to 1.1% in the year to June from 0.9%. The increase in the core rate is a further sign that many prices are being pushed up by higher wages as unemployment across the region steadily falls and economic growth improves. A run of economic data recently has raised hopes that the eurozone economy is gaining momentum, fueling speculation that the European Central Bank may start reining in its stimulus sooner than predicted. Earlier this week, ECB President Mario Draghi spoke of a “firming and broadening” recovery, words that investors interpreted as a move to lay the groundwork for a change in policy. As well as slashing interest rates, including its main one to zero, the ECB has been buying bonds — currently about $68 billion per month — to keep market interest rates down and encourage lending across the economy. Getting the right financial product for your small business is important. However, entrepreneurs should be careful about which small business financing options they choose. Some make more sense for your company than others. 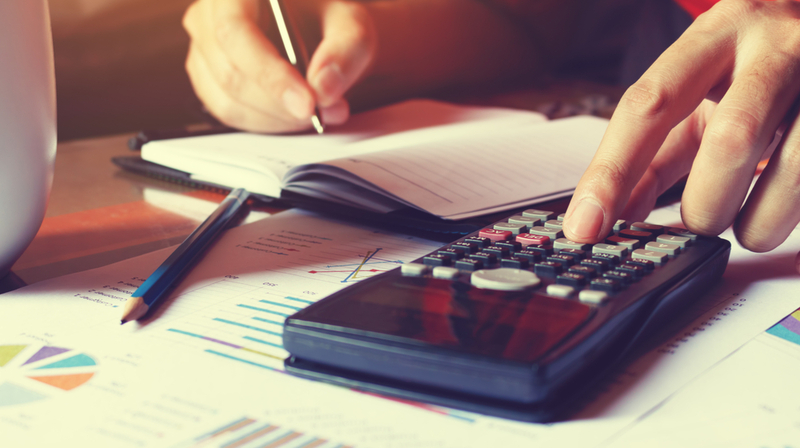 Small Business Trends talked with Hanna Kassis an expert at Segway Financial about how to differentiate between loans, cash advances and factoring. “The biggest difference is cash advances and factoring are not loans, although sometimes they’re disguised as loans,” Kassis says. The trick for small business owners is in understanding how to pick the financial product that works to make their situation better. Choosing the wrong path can lead to deeper financial issues if your small business is in some trouble to begin with. There are some fundamental differences. For example, small business loans report to the credit bureaus about the credit of the business and not the owners. These are generally the way to go when you’re looking to make a long term investment in your business. A good FICO score is required. All your company assets can be used as collateral and funding usually takes about 3-7 days. Use these when you’re on a stable footing financially and looking to grow or expand. Small business loans are a great way to replace outdated machinery and even build a new wing. Miss a payment on one of these and it gets reported on your business credit. With the other two types, that kind of slip up gets reported on your personal credit. These other products have a different set of requirements. 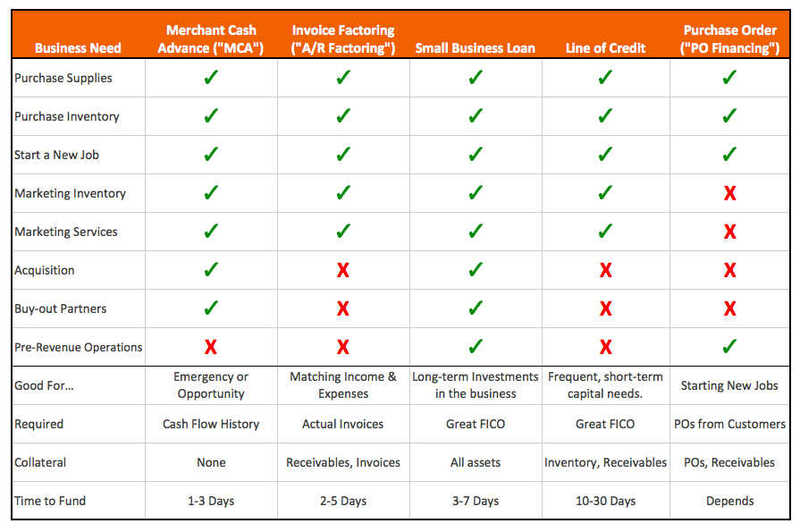 A merchant cash advance is a good product for an emergency financial situation. Factoring is the right tool to match income and expenses. With the merchant cash advance, cash flow history is required but your small business doesn’t need to supply any collateral. Factoring, on the other hand, requires actual invoices and those receivables and invoices are used as collateral. Kassis notes another difference between the two products. Say you’re selling bolts to a manufacturer. They’re buying in volume and keeping you busy, buy not paying for terms of 30, 90 or ninety days. Factoring can help you can over temporary cash crunches. These products generally take about 2-5 days to process. If you send invoices, you have a wider range of options. Those choices are limited for enterprises like grocery stores that accept cash up front. Cash advances are the quickest solution to get but you need to be careful when you make a decision to go after one of these. There is no collateral needed here and the time to fund is quick at 1-3 days. However, Kassis is clear small business needs to take a good look at why they’d need this type of money before they act. However, there’s a big caveat to this catch-all. Kassis explains this is a great product for seasonal businesses and restaurants in tourist areas. Both of these small businesses might need some cash ahead of their busy season. He’s clear, however, a cash advance won’t stop a downward business slide. “If you’re struggling, a cash advance will put you out of business,” he says. Bulgaria’s Prime Minister Boyko Borissov is in Croatian city of Dubrovnik for the summit of the Heads of State and Government of the countries participating in the South-East European Cooperation Process (SEECP) within the final meetings of the Croatian SEECP Chairmanship, reported BNT. Deputy Prime Minister and Minister of Foreign Affairs Ekaterina Zaharieva will take part In a parallel meeting of foreign ministers on 30th of June. The Bulgarian Delegation also includes the Minister for Bulgaria’s Presidency of The Council of the EU, Lilyana Pavlova. The need for common policies of the Balkan countries within NATO and the EU and the importance of the Euro-Atlantic future for the whole region will be the emphasis in the speech of Bulgaria’s Prime Minister Boyko Borissov at the forum. The final meeting of the Member States of the South East Europe Co-operation Process within the Croatian Chairmanship started in the morning on 30th of June with a meeting of the foreign ministers. The Summit of Heads of State and Government wi8ll take place in the afternoon. On Sunday, the traffic will be closed between the “Prague” Blvd., from Pencho Slaveykov Blvd., to “Gen. Skobelev ” and on Monday -” Knyaz Alexander Dondukov “Blvd. from Str ” Serdika ” to” G. S. Rakovski “. This was announced by the mayor of Sofia Yordanka Fandakova during the inspection of the repair of ”Asen Yordanov” Blvd, reported bTV. ‘’On Sunday we will start the complete reconstruction of “Prague” Blvd. There will be a complete closure – from “Pencho Slaveikov” Blvd to ‘’Pette Kiosheta’’ – “Gen. Skobelev “. We will make reconstruction of the road, sidewalks and replacement of lighting fixtures”, Fandakova further said. ‘’On Monday, we are also going to start the reconstruction of ‘’Dondukov’’ Blvd in the section of the Council of Ministers – from “Serdika” Street to “G. S. Rakovski ” with a complete closure of the boulevard so that we can succeed in the beginning of the autumn. The deadlines were extended because of the decision to preserve the pavement’’, she added. German Government Welcomes Turkey’s Erdogan to G20 as "Important Guest"
The German government said it would welcome Turkish President Tayyip Erdogan as an important guest during the meeting of G20 leading economies in Hamburg from July 7-8, despite Berlin’s decision Thursday to bar other public events by Erdogan, Reuters reported. Spokesman Steffen Seibert told reporters he had no information indicating that Erdogan would not attend the G20 summit and said Germany looked forward to his participation . “I’d like to emphasise for the German government that President Erdogan is an important guest for us and we welcome his participation in the G20 summit,” Seibert said. You are currently browsing the Business, finances, forex blog archives for June, 2017.